Wordless Wednesday : Health and Safety? The Kapok tree is a tropical tree, found in Central and South America, and also in parts of Southern Africa, and is also known as Java Cotton. The tree has a very rough spiny bark, as you can see, and can grown to about 200 feet high. The tree produces seed pods, from which Kapok fibre is taken, and this is useful for filling mattresses, upholstery and soft toys, even though the tree itself doesn’t look too cuddly! 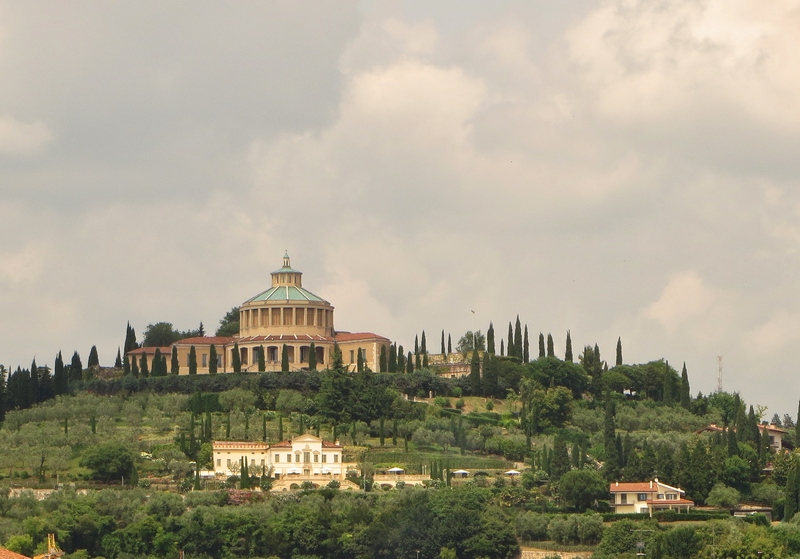 Every week Cee has a number of challenges to test our photographic skills, and I have just the picture for this one! This week we visited the village of Castletownshend in West Cork, the village mainly comprises of one long street, with a stately home at one end, running down a steep narrow hill to a castle at the other end, overlooking the bay. 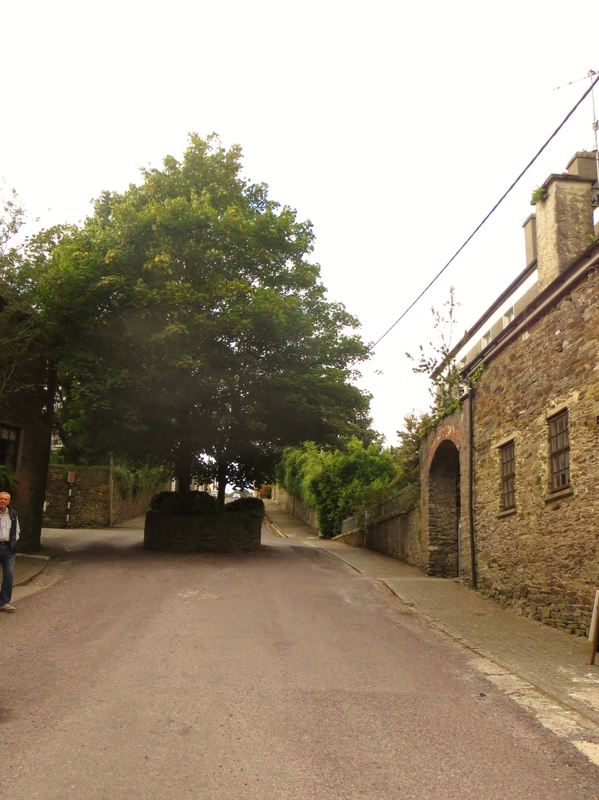 Nothing very unusual there, I hear you say, but wait… half way down the steep hill are two sycamore trees, smack bang in the middle of the road, and there have been two trees in this exact spot since the 1800s. So, if you are driving at speed down this road, watch out, as you will have to ‘proceed with caution’ and make your way around the roundabout that has been on this road, many many years before roundabouts were even invented! A month or so ago, near Kinsale, we came across this Garden of Remembrance to the 343 Firefighters that lost their lives in 9/11 in New York. 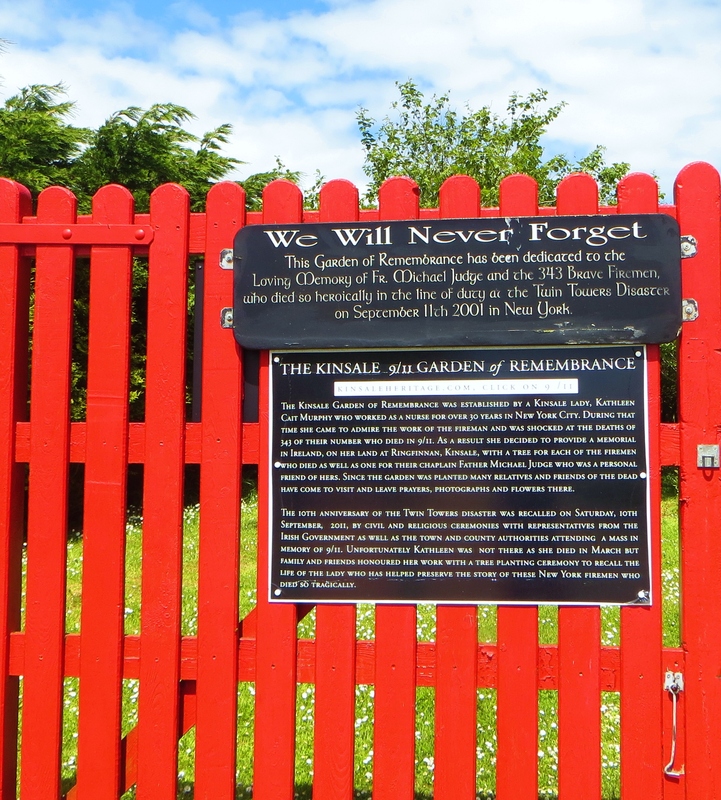 The Garden was started by a lady called Kathleen Murphy, who worked as a nurse for over 30 years in New York City, When she retired and returned to Ireland, she decided to create, on her own land, a garden in memory of these brave firemen. A tree was planted in the Garden for every one of the firemen who died, along with their chaplain, Fr.Michael Judge, who was a personal friend of Kathleen Murphy. Each tree has a name of one of the firemen on it, and when you walk in through the gates, you immediately get a sense of the peace and stillness of the place. 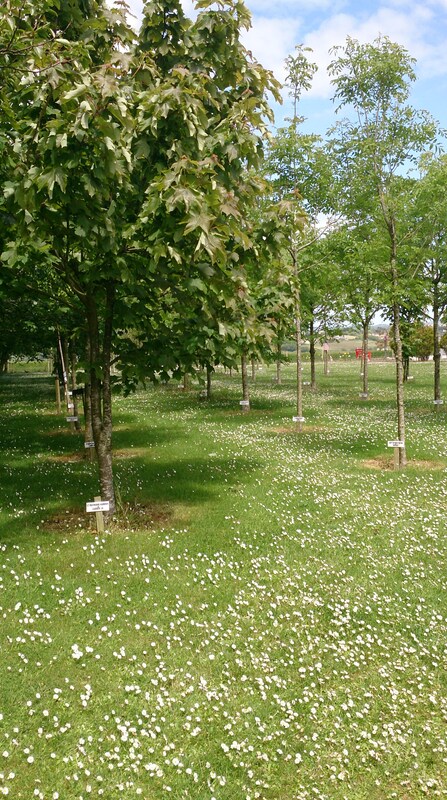 When we visited, the grass under the trees was covered in little white daisies, like a carpet to walk on. The garden overlooks part of Kinsale farmland with the town in the distance. Sadly Kathleen Murphy herself passed away from cancer just before the 10th anniversary of 9/11, but her family and friends look after the garden, and keep it as a tribute to a caring lady.